Now, I love it when the spirit of God speaks to me, but that time it pulled me up short! How badly indeed? What sacrifices am I willing to make? How early will I rise and pray…and for how long?? I understand that it’s not because of my works that I obtain righteousness, but I am convinced that your desire for God is reflected quite accurately by the time we spend with Him! Don’t get me wrong, one scripture meditated on all day long can change your situation, but again it’s you putting the Word to work in your life, meditating on that word, thinking about it all day long, not flippantly pulling a scripture card out of a plastic loaf of bread (I used to have one of those!) and then forgetting what you read five minutes later! …to have change, you have to make change and that is always a conscious decision!! 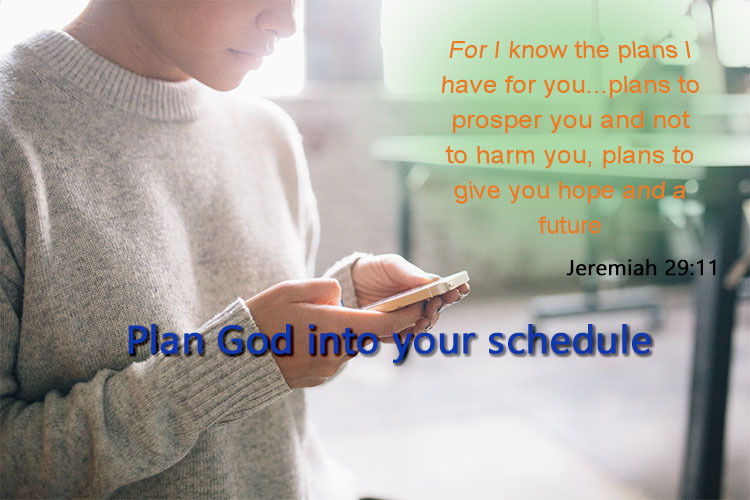 Plan God into your schedule just like you do your meals, your sports, or any other activity, then let him infiltrate your activities all day long!!! We love you and are praying for you and standing with you!